Seeking The Orgasmic Now. . . . Yesterday we sat with some beloved friends in a local Chinese joint eating lunch and talking about – among other things – the state of the church. They were visiting from out-of-town and had just spent the morning worshipping with us at our church. Because I’m a culture-watcher whose travels take him to churches that span the style and substance spectrum, I’m forced to think about these things far more than I’d like to or would ever choose to. But I’ve learned that thinking about these things is necessary and unavoidable. Far more than we know or imagine hangs in the balance, and if we don’t understand that fact now, we’ll be leaving it to church history to offer a balanced analysis of our times. . . particularly the mistakes we’re making. Our mealtime conversation began with “what did you think of our worship service?” and continued with some stimulating dialogue about what people look for in a church, and whether or not that’s unbalanced or misdirected. I appreciated the conversation because our friends are extremely thoughtful, and because of some reading I had done earlier in the week. 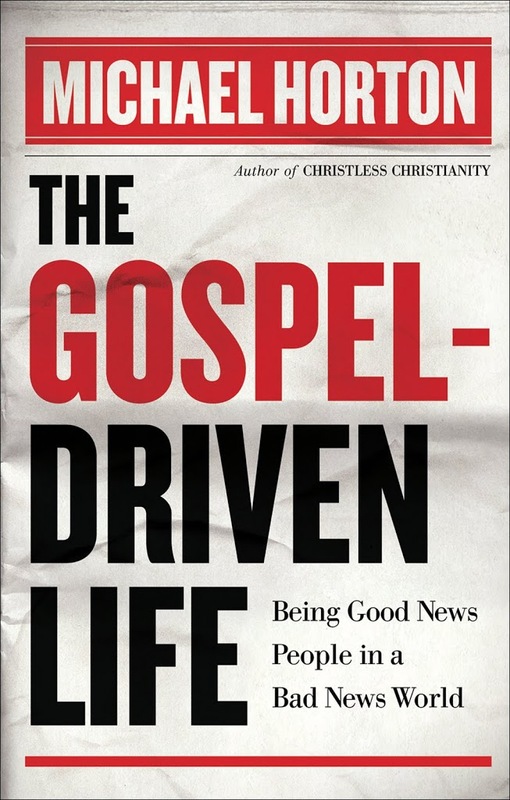 On Thanksgiving I had finished Michael Horton’s latest book, The Gospel-Driven Life: Being Good News People in a Bad News World. I blogged earlier this year about Horton’s previous book, Christless Christianity. Horton is a deep-thinking theologian and cultural critic who has a great knack for forcing us to ask the questions we need to be asking. Sadly, I’m not sure he’s going to get the hearing that he should. In The Gospel-Driven Life, Horton talks about how we’ve lost our capacity to wait for things. We want everything quickly in the here and now. He says this has impacted us negatively as individuals, as churches, and as a culture. Because convenience takes precedence over quality, we have sacrificed much in terms of depth and growth. For example, “it takes time to make a good bottle of wine and the better reds may not reach their maturity for years.” This bent has found its way into the way that we perceive and live out our Christian life. It has also found its way into how we choose and evaluate corporate worship. . . and even our churches. Horton says we live in an “exuberant cult of the immediate experience.” Perhaps his most eye-opening and accurate assessment of our allegiances, preferences, and commitments is that “every moment must be orgasmic.” He says “we are terrified of being bored.” How true. I see it in my own life and in the lives of those I know the best. Here are some related thoughts from Horton’s book that I found to be very challenging. As you read them, think about your church, yourself, and your kids. . . .
“Let’s face it: a traditional Christian service of public invocation, Bible reading, prayers, preaching, and sacraments is not ordinarily fun. ‘It’s like watching corn grow,’ as they say. 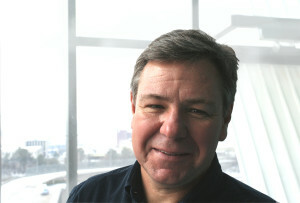 There is no excuse for pastors to be so aloof, lax, or distracted from their congregation that there is no connection. Nevertheless, on an average month of Sundays, every believer should find church a little boring. I find marriage a little boring. And raising four children. And going to work every day. I am even bored by travel, although as a boy I went through the ‘I want to be a pilot’ phase. It’s old hat now. If we all made our decisions based on how highly it scored today on the fun meter, we would never commit ourselves to relationships and processes that take a long time to see any results. Our culture is falling apart over this one. The result is that we demand cargo ships full of meaningful, life-altering, transformative, explosive, and unique experiences every day and are losing our appreciation for the role that a child’s smile has in the grand scheme of things. Every date night has to be the Love Boat, every family vacation must fill albums worth of memories, and church can’t be church; it has to be a ‘worship experience’ that alters one’s cell structure every time. . . . Imagine what would happen if we determined what we would learn, teach, or endure on the basis of what William James called ‘its cash-value in experiential terms.’ Children would not learn the alphabet, the multiplication tables, primary colors, or the basic grammar of the Christian faith. School would be recess all day: filled with games and free play. There would be no great food, friendships, marriages, families, buildings, farms, athletes, or concerts. Ironically, the pursuit of instant gratification and perpetual amusement creates its own self-enclosed world of boredom. Spoiled children (of whatever age) are never satisfied. The younger generations today have seen it all. They have been to every theme park, have every gadget, and know every band. The expression on a lot of their faces tells it all: ‘Been there, done that, got the shirt.’ And they are consummately bored. Now growing numbers of them us they are especially bored with the ‘contemporary worship experience.’ Our fear of God must become greater than our fear of boredom. Making disciples, like making crafts, great works of art, fine wine, a memorable dinner, and raising children, takes a long time. It is like watching corn grow and that’s exactly what we are: a harvest whose first fruits have already been raised and exalted. . . .
Like a good parent, God knows that if we had all the cotton candy we wanted, we would not only be sick but would miss out on the dinner he has prepared. . . . 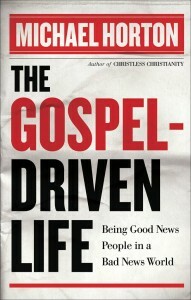 I encourage you to read The Gospel-Driven Life. You can download and read Chapter 1 here. ← 2:20 and Thanksgiving. . . . Thanks for pointing me towards this book. I am a youth minister and I see it in the kid’s eyes every Sunday. While we don’t do the most “dynamic” things in our worship service, we try to present God’s word in a interesting way. Many times I feel the pressure to do “the next big thing,” so that the kids will be excited, etc. This article encourages me to not worry so much about that and just focus on being faithful. Excitement doesn’t always equal discipleship. Wow! Horton has nailed this generation (and me). We have become addicts of fun and especially of entertainment. The church has to do all in its power to cling to the gospel and not some adulterated/entertaining/manageable bit of it that “serves us” in the moment. Thanks for posting the excerpts, Walt! What Horton says can be applied to the attitude people have towarde all sorts of things and relationships, and not just youth- All ages can fall into the “I must always be excited” trap. There is one amplification I would make. The youth think they have seen it all. They have not, not even by a long shot. This cultural arrogance is often their downfall. It’s why they need to be in worship services that not only reach them at their cultural level, but expose them to the great thoughts of other ages. Thanks, Walt. GREAT post. Definitely going to be sending this one around.